Relieve back pain and help keep your back fit with the Teeter Hang Ups EP-560 Inversion Table, which features a ComforTrak flex bed to help maximize spinal comfort and flex and the Ergo Embrace ankle system with closed-cell foam ankle cuffs to provide comfortable, smooth and quiet rotation. The injection-molded plastic bed is easy to clean, and the powder-coat steel frame offers durability. The Teeter Hang Ups EP-560 Inversion Table is a safe and durable inversion therapy device that gently relieves joint and back pain through natural spinal traction. Regular use of the Teeter EP-560 can initiate spinal decompression and re-hydration of the joints, encourage proper alignment of the weight-bearing skeleton and relax achy muscles. Teeter inversion tables are UL certified for safety and rated #1 for endurance, rotational control and ease of assembly by an independent evaluator. 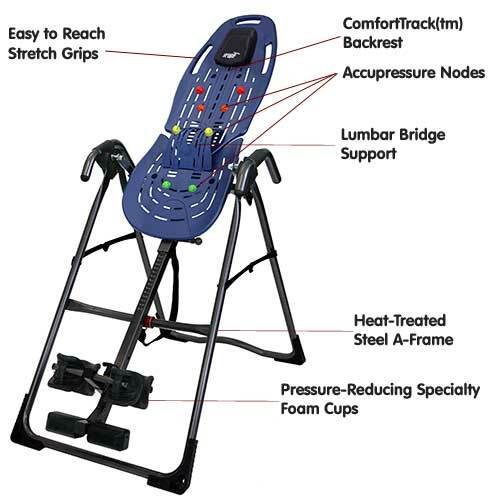 The Teeter Hang Ups EP-560 Inversion Table features the flexible ComforTrak bed that allows added joint movement so you get the full benefits of stretching, while maximizing comfort. The easy-to-clean surface minimizes friction so your body can naturally slide into a deep, decompressive stretch that leaves you feeling energized. Soft, foam ankle cups and a movable foot platform secure the lower body and evenly distribute weight, providing safe and satisfying anchor. Some of the abundant safety features of the Teeter Hang Ups EP-560 Inversion Table include a control to pre-set the maximum inversion angle, auto-locking hinges and cam locks and a stable steel frame. Convenient and easy-to-store, this folding inversion table arrives 85% pre-assembled and includes a fun workout DVD loaded with useful content. If you want a high-quality inversion table that can help treat low back pain and backaches, buy the Teeter Hang Ups EP-560 Inversion. With a few minutes on the Teeter Hang Ups EP-560 Inversion Table every day, you can achieve back pain relief and improved joint health. The Teeter Hang Ups EP-560 Inversion Table is a patented Ergonomic Flex-Technology, the injection-molded backrest bends to improve joint flexibility and allows a greater range of motion. The back pain inversion table has a frictionless surface to help achieve the optimum decompressive stretch. TheTeeter Hang Ups EP-560 Inversion Table has a stable A-frame base to reduce sliding. This gravity inversion table has an ankle comfort dial that moves up and down to secure your ankle clamp. The trademarked security system in this inversion therapy table includes auto-locking hinges, cam locks, and heat-treated steel parts. The de-rattler knob and unique swivel bearings ensure smooth, quiet rotation. Personalize your stretching exercise by adjusting the removable tether strap. 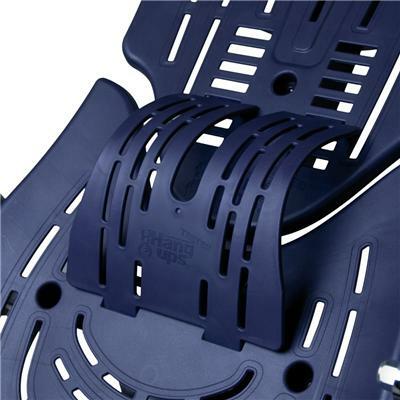 The gravity inversion table comes with scratch-free powder coating for enhanced durability. 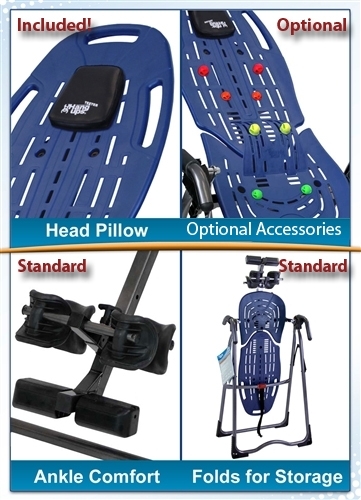 Don't wait to order your Teeter Hang Ups EP-560 Inversion Table to start your inversion therapy to achieve long lasting relief from back pain and improved joint health. Call 1-800-875-9145 today to chat with one of our fitness advisors with any questions you may have about the Teeter Hang Ups EP-560 Inversion Table. 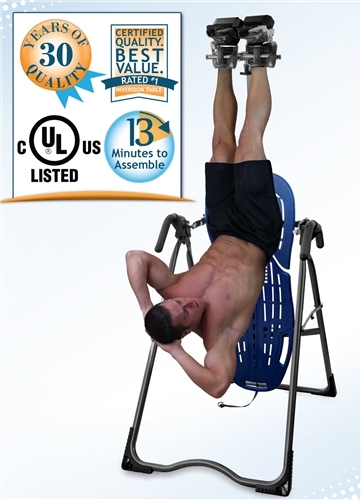 Order your Teeter Hang Ups EP-560 Inversion Table from FitnessZone.com today! and achieve a better back and better body. 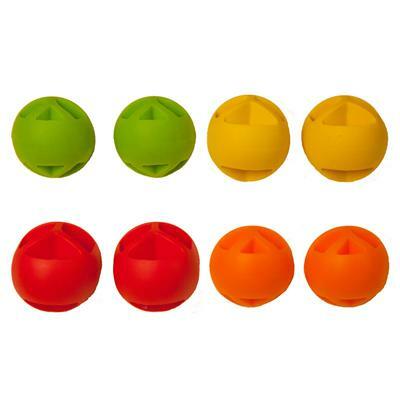 It has really helped my back pain! The guys at FitnessZone was very helpful and shipped it to me in FL. very fast!